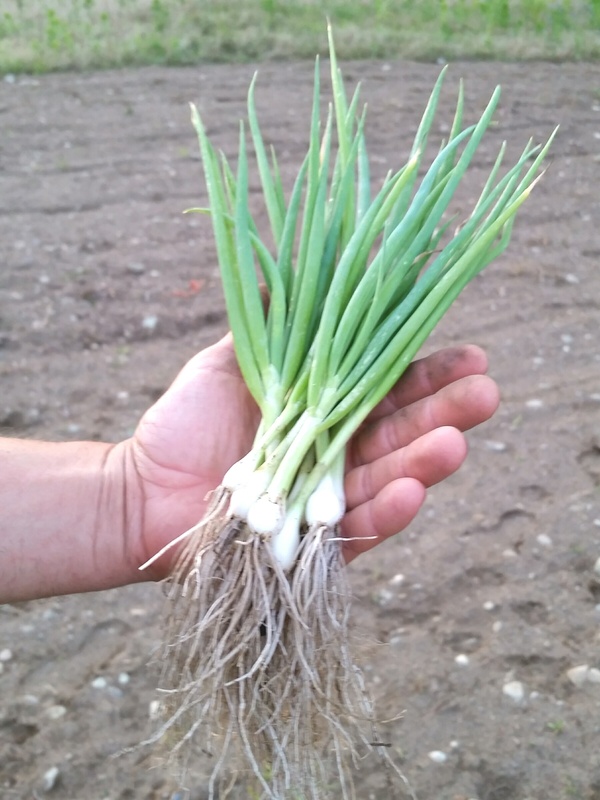 Farmer Kohei looking at some wild spring onions in the light of the setting sun. Yay to another great week and some new CSA members! Welcome to week #3! A friendly reminder. Please return the CSA boxes from the previous week(s) when you pick up your CSA shares. When opening your boxes, keep in mind that these will be our reusable packaging for the season so please plan to return them the following week and treat them gently. The lid with “Perishable” written on it slides out (it will bend, do not pull) and this will open the box top and reveal your edible goods. ( *Typically, we will collect our eggs freshly laid from the hens a couple times a day and leave it unwashed [unless it’s particularly dirty]. Leaving it unwashed means that a natural membrane around the shell is intact. Left this way it can be kept unrefrigerated at room temperature for a while, and can last up to two months in the fridge. Once eggs are washed, it no longer has that natural membrane and will make it more susceptible to spoilage, so it needs to be refrigerated; washed eggs are good up to one month. As some of the farm’s crops thrive, we are realizing there is surplus of some items that are doing really well right now but most likely won’t last very much longer… But that means we can offer some savings and pass onto our customers a special pricing for bulk extras! Contact us at 617-863-SOIL or MovementGroundFarm(at)gmail.com by noon 6/30, if you’re interested. Just let us know how much of which bulk order special you’d like (please have money ready when your CSA is dropped off on Wednesday, 7/1/15). A giant bag of our Siberian kale, a $10 value for $5. Make kale “chips”, power juices or smoothies, or even stomach satisfying soups. Have some more crisp, leafy, and light mustard greens, one bunch for $3.50. This looks like the last week for it. Have some more red-tinged, mustard greens, one head for $3.50. It looks like the last week for this, too. Let us know how you eat and cook your CSA goodies! Share your cooking stories and pictures on our Facebook page (some of our members and friends already began posting some of their own cooking adventures!) or leave a comment here. We’d love to feature and keep your recipes to share in the future as part of our community posts. 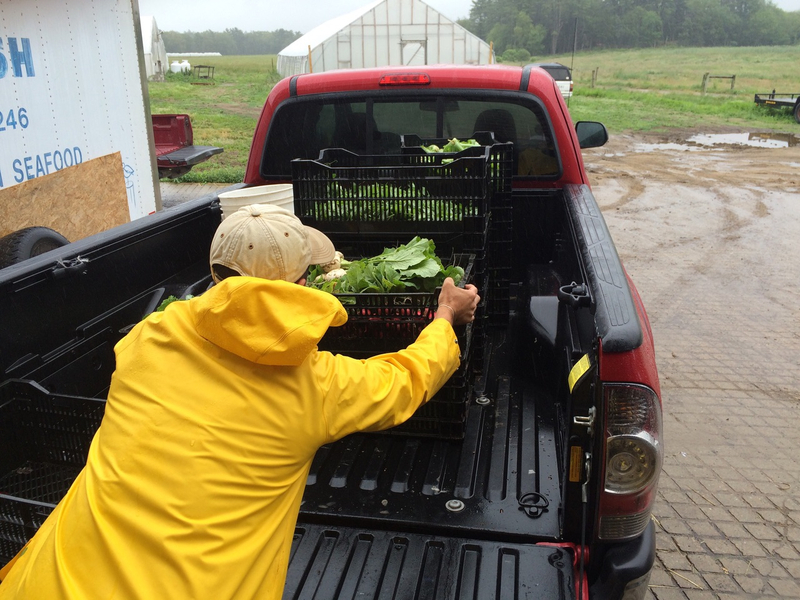 Farmer Kohei with his first CSA delivery drop-off and our excited customers! The FIRST CSA DELIVERY = SUCCESS!! 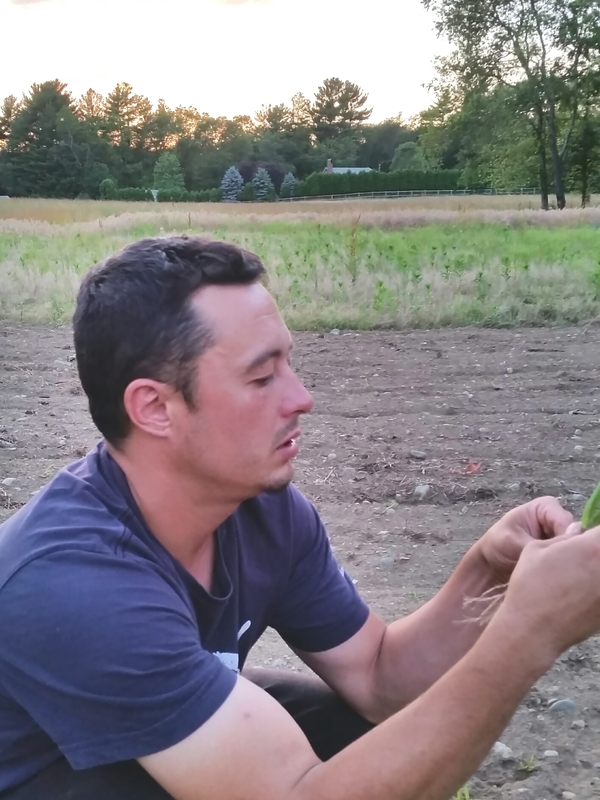 It took some adjusting and volunteers helping to plan a route for Farmer Kohei’s first week of CSA deliveries, as it was a little tricky with a few different sites miles apart and, currently, only one person to deliver… BUT it was SUCCESSFUL! The above picture was to document a milestone in MGF’s journey, and as proof of the excitement our customers have to support the farm’s Mission while receiving conscientious, healthful, and fresh produce & eggs. Before you open your boxes, keep in mind that these will be our reusable packaging for the season so please plan to return them the following week and treat them gently. The lid with “Perishable” written on it slides out (it will bend, do not pull) and this will open the box top and reveal your edible goods. 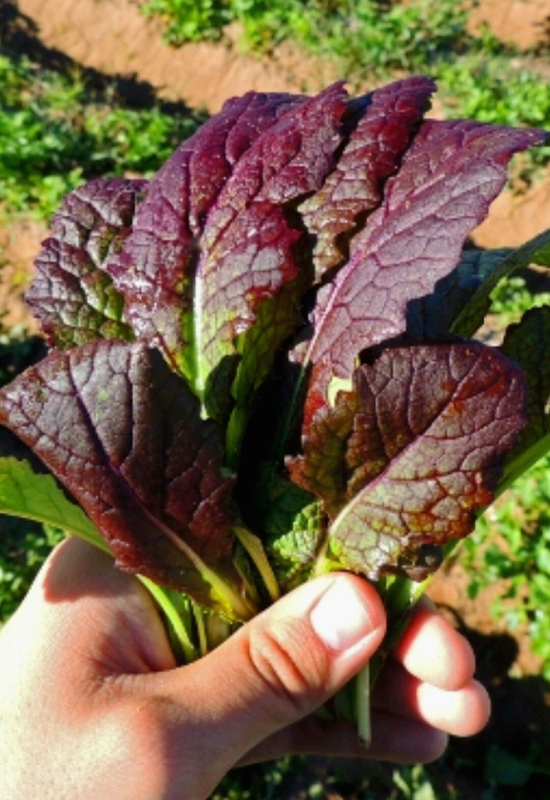 “The variety is part of the Brassica juncea sub-types, and this is commonly known as the Japanese red mustard. When the plants first sprout and begin to develop, they are completely green but, as they mature, the veins in the leaves start to redden until almost the entire leaf has a deep, slightly purple-red color. Contact us at 617-863-SOIL or MovementGroundFarm(at)gmail.com by noon 6/22, if you’re interested. Just let us know how much of which bulk order special you’d like (please have money ready when your CSA is dropped off on Tuesday, 6/23/15). Try a bag of our Siberian kale (three small share sized bundles, about 1.5-2.5 lbs) for $5. Make kale “chips”, power juices or smoothies, or even stomach satisfying soups. 1. Try bok choy on pizza! Add sliced bok choy to frozen pizza and cook per the instructions on the box. For a more DIY version, buy/make your own pizza dough, roll & stretch it out, add sauce (tomato, BBQ, hoisin, etc. ), add bok choy and any other toppings, a light sprinkling of cheese, a drizzle of extra virgin olive oil (or infused oil of your choosing), and bake in a pre-heated, hot oven (about 425º F or higher) until medium brown along edges. Here’s more cooking ideas for use in salad, roasted with chicken, and more via this link here. 2. Cook komatsuna (or Japanese mustard spinach) in this recipe with tofu in a miso sauce. Feel free to leave out the almond and onions and it’ll still be tasty. If you’re looking for something with meat, substitute a meat instead of tofu, or just add it early on in the cooking process before you add your greens. Add a teaspoon or two of sugar to taste to even out some of the salt in the recipe. Or add it to a salad mix you like for extra bite, or dress up some ramen when pressed for time. 3. For the Japanese red mustard green, you can combine it with komatsuna and treat it similarly. Here’s this simple and quick, sautéed side dish recipe only calling for oil, garlic, your mustard green, chicken stock, salt & ground pepper to taste, and mustard. Any extras? Add it raw to a sandwich to increase flavor and nutrition factor. 4. When cooking with your Chinese broccoli (or gai lan), trim the very end of the stem or peel it like you would with asparagus. The end of the stem can be very tough and fibrous. Cook it simply by blanching it first in boiling water, then sautéing quickly before serving with oyster sauce similar to this recipe (fried garlic optional). OR for the more adventurous cook, try it in a beef chow foon (beef with wide rice noodles). For a slight Cambodian flair on this dish, leave out the ginger and onion, make a little more sauce, and crack an egg or two into the pan during the last step of the same recipe. 5. Use your colorful, rainbow swiss chard chopped in a salad (try it in the salad recipe linked under bok choy) or with your favorite dressing and toppings (still have some radish from last week? use it fresh or roast it and add to this salad). Use it in as a colorful replacement of lettuce when making lettuce wraps or in sandwiches. Or here is a simple and quick, sautéed side dish recipe that calls for butter, your chard, salt & pepper to taste, and a drizzle of lemon juice or vinegar. Let us know how you eat and cook your CSA goodies! Share your cooking stories and pictures on our Facebook page or leave a comment here. We’d love to feature and keep your recipes to share in the future as part of our community posts. At Movement Ground Farm (MGF), we are kicking off our VERY FIRST “Founding Members” CSA program with our FIRST week of the growing season!! We (inclusive of the farm, Farmer Kohei, the Board, & working volunteers at MGF) got rain Monday, and considering the dry spell Massachusetts had for a while, combined with high temperatures a little unusual for Spring, we certainly are welcoming cloudy, cool, and wet days. The plants certainly need all the water it can get. Take a look at our friend & volunteer, Sandy, among the green rows of thriving veggies while he’s harvesting the very edibles that will be found in your CSA this week! With the veggies all picked, it’s ready to be rinsed, bundled, and packaged to be organized into the specific CSA shares. Most of the produce, though rinsed, may not be clean enough for you to be ready to eat and cook. 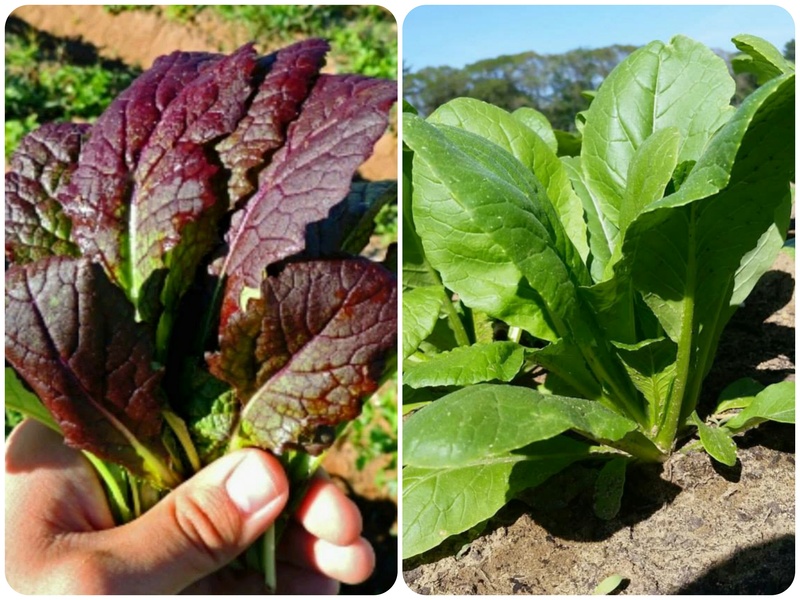 It’s still processed in sandy conditions and handled just enough to be presentable to you, our CSA members (don’t be surprised if you find some bug bitten leaves or remnants of them, as is the nature of fresh from the farm and organic conditions). Give your veggies a good rinse before you cook. Hope our Summer CSA members will enjoy this first week! These strolling ladies are providing us with some tasty eggs. Try treating mizuna like arugula–in salads, using it as the lettuce substitute in sandwiches, making a version of pesto, or even quickly wilting it with other cooked foods like pasta. 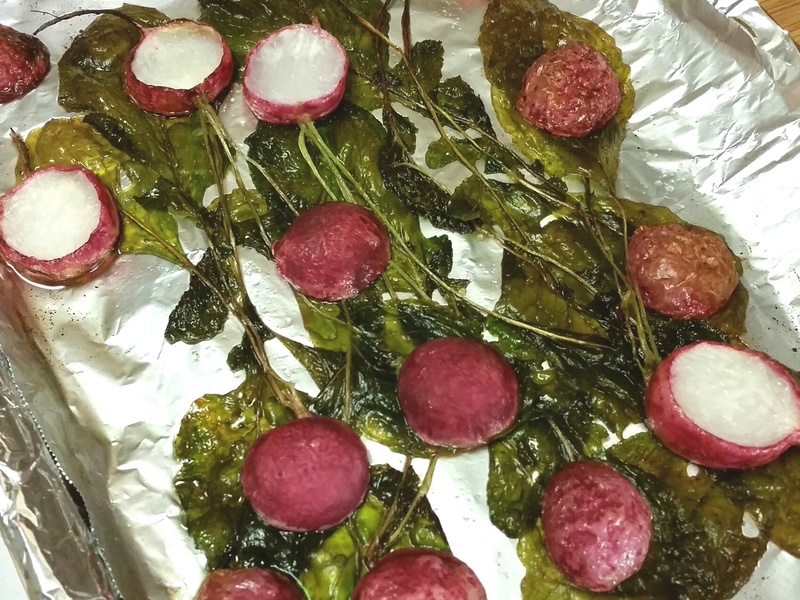 For the radish, you can roast it whole with the green leaves on, or separate it and slice the bulbs thrown into a salad with some of the radish greens. Or try the bulbs cut up into egg salad or chicken salad, thrown into soups, or pickled. Kale is a hearty vegetable that has gotten some attention the past couple of years for being very nutritious either eaten raw (i.e. kale salads, kale juiced or blended) or cooked (i.e. in stews, braised, made into kale “chips”). Bok choy has a light bite to it (at least the stem part) but can be eaten raw in salad or paired with a dip. You can cook it into soups, use it to dress up your instant noodles, or give it a quick stir fry treatment. The Chinese mustard greens have a bright, bitter taste and is equally great in stir fries, soups, or even pickled. For the Hakurei turnips (crisp, juicy, and lightly sweet) and the pea pod tendrils (so tender and tasty), if you’ve never cooked with them before the links in the above list are a good start as you get to know the flavor of these edibles. Farmer Kohei wants you to be confident in Movement Ground Farm and its commitment to being a local farm you can trust uses sustainable and organic farming methods (that may mean use of crop rotation, cover crops, weeding, etc.) in how we care for the land. Also, the seeds we’ve used to grow our vegetables were carefully selected for being certified organic AND non-GMO (genetically modified organism). 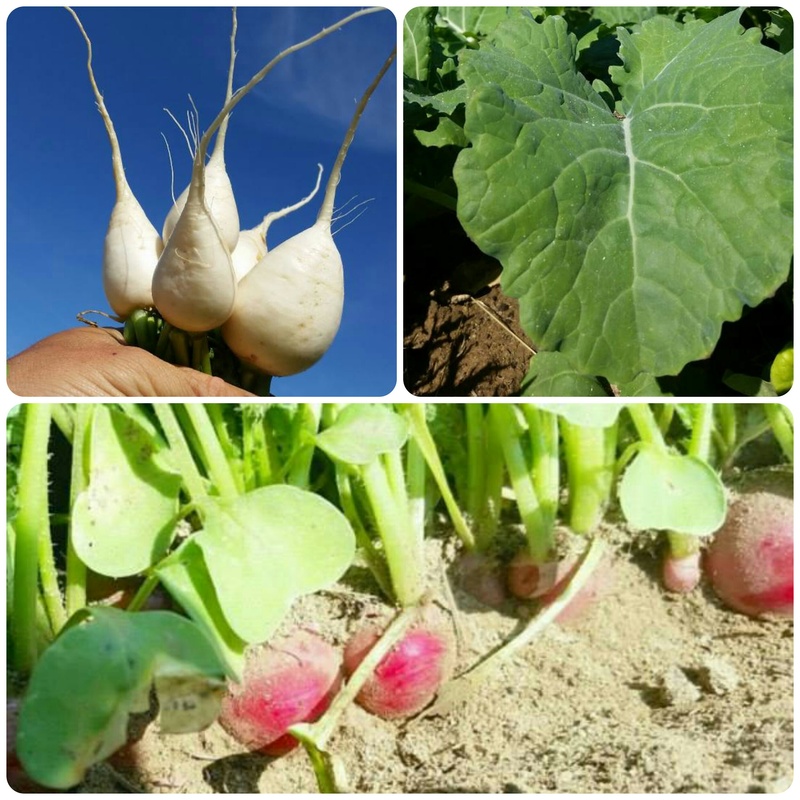 Enjoy these early season veggies which belong to the Brassica family. Brassica related veggies are cold hearty (so ideal for New England), and typically are abundant early in the growing season, disappear as the temperatures increase, and return in the fall. The slight bitterness (and more extreme, in the case of the Chinese mustard greens) of Brassica related veggies are great for detoxing and cleansing your liver. Movement Ground Farm is slowly making its way online and leaving a footprint on the world wide web! Let me introduce myself. I’m Judy, aka FoodieJudie, and I’ll be one of the main contributors on this blog for now while Farmer Kohei tends to the farm :). But we do hope to feature stories and posts from others in the future. I was more than willing to take on this role as I consider myself an amateur “foodie” blogger and Twitter user, I LOVE to eat + cook, and I am more than willing to talk up a storm about food (especially if it’s fresh, local, & sustainable) & to help stir up some cooking ideas for all the tasty goods from Movement Ground Farm (MGF). I also know that food is great at bringing people together (that’s why there are family dinners, potlucks, and the phrase “breaking bread”). But I also am part of MGF’s Board Committee and a CSA (community supported agriculture) member! I believe in supporting local, sustainable farms, AND I am inspired by Farmer Kohei’s vision for what his farm could be in the future. You could say I’m ALL IN. As MGF first formed as an idea and dream of Farmer Kohei’s, it began only as a thought… then came the business proposal, then budget plan & forecast, then a slew of supportive idea reviewers, a P.O. Box (before there was even any land! ), eventually came a Facebook page, a phone number (that was a process…), an email address, then LAND to grow on, and we now have an OFFICIAL blog & website!! Talk about progress! This is exciting territory for us because we can post awesome pictures of the every day stuff the farm life entails, the wonderful plants we’re growing, and of all the wonderful people and animals that come through our farm (along with Farmer Kohei). This will be where we’ll document what’s in our pilot “Founding Members” CSA (or community supported agriculture) shares from week-to-week. We’ll also profile food facts, farm stories, adventures of the farm animals (all egg-laying birds, at least for now), adventures of Farmer Kohei… etc. !